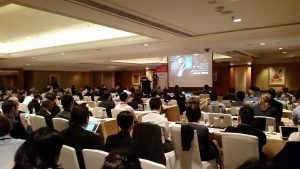 Hong Kong, February 10, 2017 /ChinaNewswire.com/ - The Big Data & Analytics Innovation Summit, hosted by Innovation Enterprise, is returning to Hong Kong on April 26 & 27, at the InterContinental Grand Stanford Hotel. The summit has been successfully hosted in Hong Kong for 4 consecutive years, attracted over 500 attendees. This year’s edition will gather together over 150 senior data executives across different industries to discuss strategies that leverage data in new ways for new outcomes. At the summit, Ritesh will be discussing 'Client Focused Digital Assets Powered by Data Analytics.’ One of the keys to his presentation is that anything created today, will not be relevant in only a few years and only through looking at future technologies can companies prepare. The summit will be co-located with the Digital Marketing & Strategy Innovation Summit and the CFO Rising Summit, where attendees can build partnerships and extend their networks across functions. Innovation Enterprise Ltd, a division of Argyle Executive Forum, is a business-to-business media brand specializing in delivering the most innovative business solutions to executive-level decision makers. Innovation Enterprise produces a range on online and offline content, including, but not limited to, summits, online learning, webinars, and white papers, as well as offering other additional services such as lead generation and bespoke research. Innovation Enterprise focuses on seven key channels – Finance, Supply Chain, Analytics, Big Data, Strategy, Digital, Innovation & Sports – to ensure that organizations are furnished with all the cutting-edge insights necessary to driving growth in the evolving business environment.